Upon joining the Central West End Association, residential members receive access to exclusive offers from our business network. New and exciting offers will be continuously added to our program, please check back to stay updated. Red Brick is a privately-owned boutique firm with an eclectic selection of commercial and residential spaces in St. Louis' most prominent neighborhoods. At 625 Euclid, you are in the center of it all – your office, your favorite local band’s live performance, your corner café with the barista who makes the coffee just right and your cozy comforts of your home. It’s all right here. 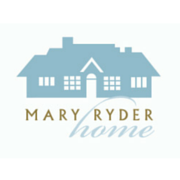 Mary Ryder Home was founded in 1930 and serves the fastest growing segment of the elderly population: Seniors, struggling in poverty, who can no longer live independently. Considered “elderly orphans,” these Seniors often have no family or their family cannot or will not care for them. Extraordinary historical features tastefully mixed with modern conveniences is what Central West End City Apartments offers today’s unique renter. Central West End City Apartments is located in the desirable Central West End neighborhood of St. Louis, MO , and offers studio, 1, 2 and 3 bedroom apartments and 4 bedroom apartments for rent. Del Coronado Apartments offers studios, one bedroom and two bedroom floor plans with flexible lease terms. Residents enjoy the attached parking garage complete with electric vehicle charging stations, on-site fitness center, bicycle storage, resident lounge with theater and billiards, 24-hour door attendant, on-site laundry facilities, package service, on-line rent payment, and professional on-site management team. Convent Gardens offers studios, one bedroom and two bedroom floorplans with flexible lease terms. Residents enjoy the attached off-street gated parking, on-site fitness center, bicycle storage, resident storage, on-site laundry facilities, gated courtyard with grilling stations and an off-leash dog park, on-line rent payment, and professional on-site management team. Citizen Park is designed from top to bottom with the atmosphere of the Central West End in mind. Here you experience specifically selected finishes and amenities designs to capture the essence of Central West End, while bring a modern element to your everyday life with an abundance of natural lighting and clean, sophisticated architectural lines. Stay in the gateway to the West at the Holiday Inn Express - St. Louis Central West End, MO. We are two miles from the St. Louis Zoo. Our location in the historic Central West End of St. Louis places you steps away from several shops, restaurants and lounges. Explore Forest Park's golf and tennis courses and museums. The designated special retail and restaurant taxing district is situated along the North Euclid Avenue commercial corridor, from Delmar Avenue moving south to Lindell Boulevard. The district serves as a community-strengthening tool designed to provide services and improvements to the CWE NCID. For more than 20 years, STL Programs has been publishing playbills and community directories for the St. Louis area. They publish more than 40 programs a year, and work for organizations ranging from the Fox Theatre, Stages and Sheldon Concert Hall, to the Great Forest Park Balloon Race and more. STL Programs is the publisher of the CWE Directory, which may be found by clicking here. Kingside Diner is a new take on an American classic: delicious food, made to order and served quickly by a friendly staff that gets to know you and how you take your coffee. Gamlin Whiskey House, a comfortable whiskey and steak destination in the Central West End, featuring the signature flair of Derek Gamlin and Lucas Gamlin. Since its inception, Sub Zero Vodka Bar has developed the most extensive drink list in the St. Louis area. In fact, only Sub Zero Vodka Bar can truthfully claim the largest selection of Vodka in the country. Distinctive & Delicious. Hand Crafted Cocktails. Private Dining & Events. The West End Grill and Pub is a neighborhood establishment where culture shares the stage with cuisine and camaraderie. Healthier, homestyle meals prepared in your very own home by Chef Star Ellis. Choose weekly, biweekly or party options! Grocery shopping and menu options based on your tastes. Also, special needs dietary and vegetarian options. Feel free to make requests of your favorites to the Chef! Hands-on creativity and adventure await you at The Candle Fusion Studio. The studio celebrates the art of candle-making and inspires guests to create their own signature scent. Over 100 different scents are available in the extensive candle library to choose from and blend together. The choices seem to be endless – from floral to fruity, from unique to popular. Lavender, pumpkin spice, and vanilla bean, of course. However, guests will also discover bacon, campfire, pipe tobacco, wasabi, leather and many other unusual scents too. All candles are natural, clean burning and soy-based. Home fragrance products are available to create as well, such as spa salts, reed diffusers, room & body sprays, wax tarts and more. Selkirk Auctioneers & Appraisers is a full-service fine art, antique and bespoke collectibles auction firm led by a seasoned and respected team of industry professionals. Together with our sister company, Garth's Auctioneers & Appraisers, Selkirk endeavors to represent the finest collections in America with outstanding photography, expert descriptions and cutting edge marketing, public relations and communications with one goal: to achieve the very best prices for our sellers. Amy Johnson designing unique women's clothing, classy and noticeable with a hint of flirt. Texture, movement and color make this clothing line irresistible. Be Awake, Show the World Who You Are and Enjoy the KayOss! At Supercuts, we do more than haircuts. We also offer a range of hair services from the relaxing Tea Tree Experience to color services like full-color, highlights, and gray blending. Click here for special deal. 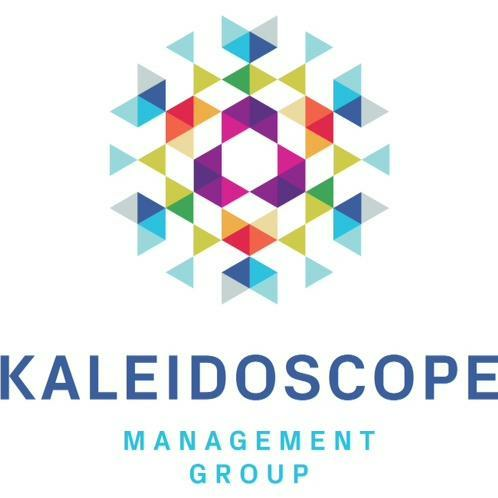 With extensive experience across multiple sectors – including energy, real estate, health care, finance and retail – Kaleidoscope brings a unique and fresh approach to every opportunity. Kaleidoscope has a proven track record of developing innovative marketing strategies to help our clients achieve their business goals. Our clients find resources they didn’t know existed, tap new growth, and knock down the internal barriers holding them back. Let’s talk about how Waters Group Global can help your organization create something positive, powerful and enduring. Our mission is to help people manage the risks of everyday life, recover from the unexpected, and realize their dreams. Whether you’re shopping for a car, saving for college, getting married or planning for retirement, State Farm is there to help get you to a Better State by providing insurance and financial services to cover life’s changing needs every step of the way. Penman PR is a public relations firm designed for executives, by an executive. As an industry agnostic public relations firm, we've immersed ourselves in an array of businesses and technologies that range from positioning a burrito chain for acquisition and generating interest in foreign direct investment for Czech Republic. Dwight Davis Tennis Center in Forest Park is St. Louis' premier public tennis facility. MassageLuXe is the creation of entrepreneur and President, Todd Beckman. Understanding the need for a more affordable way for consumers to enjoy the benefits of a luxurious massage or facial treatment, he opened his first location in Rock Hill, Missouri in 2008. Our job is to locate and correct the cause of numerous health complaints such as neck pain, low back / hip pain, headaches, allergies, digestive disorders, asthma, high blood pressure, numbness, leg / arm pain, and stress to name a few. Our tried and true method can shape every body and fit any schedule. Draw inspiration from our community of women. Achieve the body you’ve always dreamed of. Sweat away the day. Get lost in the music. Find everything you’re looking for in a workout at Pure Barre. Click here for special deal. Like all journeys, the climb to enlightened health starts with a single step. With a unique offering in physical, occupational and industrial therapies, ApexNetwork Physical Therapy is the doorway from which your path begins. Our mission is to help our clients become the best version of themselves. We believe that version is strong, flexible, balanced, lean, defined, functional, energized, and happy. We believe that results happen when a person uses a personal trainer that can help them achieve this goal the most efficient and effective way possible. That’s why we offer private, semi-private, and group training sessions to meet the needs of each individual. At Plaza Dental Center, we believe that a doctor and patient become a team for treating an individual's dental needs. Our dentists spend most of their time listening to understand your concerns and responding with the best treatment options for you. With the help of our professional staff, they also follow up to make sure that general pain is relieved, problems are resolved and your health improves. 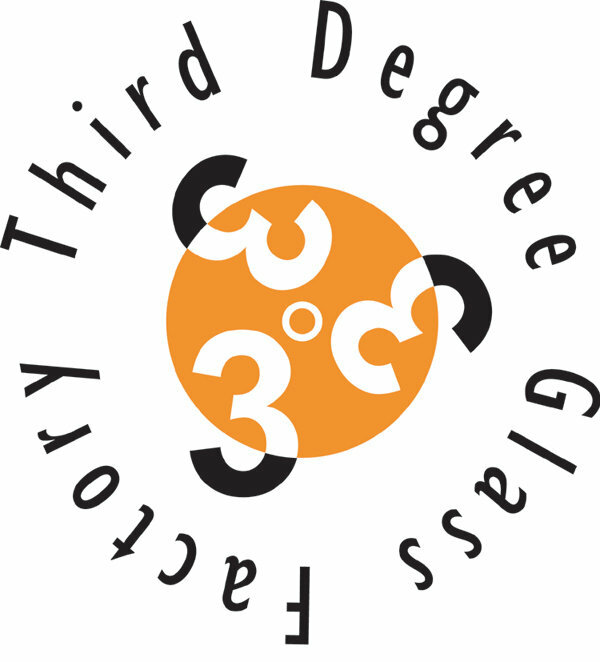 St. Louis' only open-access glass art studio, gallery and private event venue. The WCHOF is a nonprofit organization committed to building awareness for the cultural and artistic significance of chess. TechArtista is a co-working center for emerging businesses that houses dedicated desks, private offices and studios, two conference rooms and open areas for events. Amenities include 24/7 access, private parking, two kitchens, laundry, a full gym, changing rooms, showers, private video-chat booths, a large rooftop wood deck and more. The Biome is a STL public charter school opened Aug. 2015 for K-1 classes; The Biome's STEAM curriculum supports students to become leaders and builders of the future. The mission of the St. Louis Public Library is to provide learning resources and information services that support and improve individual, family, and community life through a variety of services, programs, and initiatives. The services include tools and collections for business, individual, or organizational research and information needs. Sign up with your email address to receive Central West End news and updates.